American Civics is the first-ever collaboration between Make America Smart Again founder and artist Shepard Fairey and the estate of legendary photographer Jim Marshall. The exhibit showcases Fairey's interpretation of Marshall's iconic photography from the 1960's of subjects Johnny Cash, Cesar Chavez and Fannie Lee Chaney. Each piece vividly portrays the humanity behind some of the country's enduring social justice issues: Voting Rights, Mass Incarceration, Workers' Rights, Gun Culture and Two Americas. 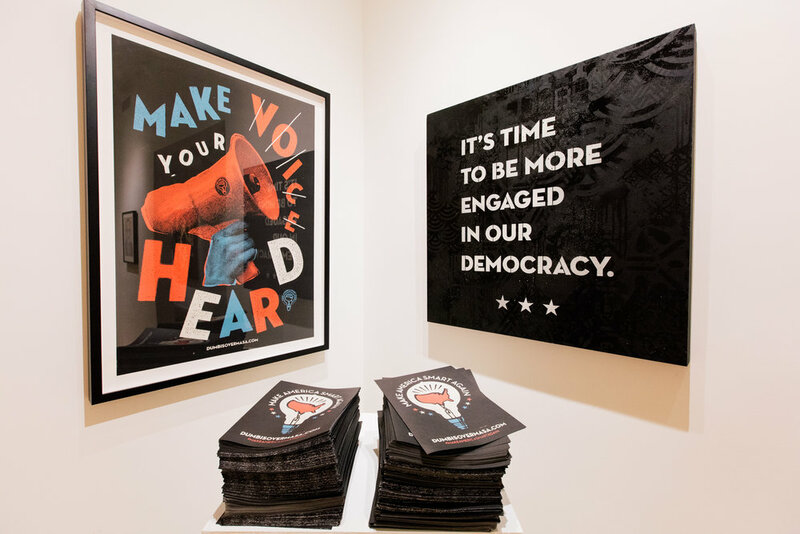 The exhibition also includes a collection of Fairey's artworks inspired by the current political climate as well as Make America Smart Again inspired pieces that were designed by Studio Number One, the creative force behind the movement. American Civics is currently on display from Jan. 20 - Feb. 10, 2017 at the Subliminal Projects gallery in the Echo Park neighborhood of Los Angeles. For more info about the exhibit and gallery hours, visit www.subliminalprojects.com.